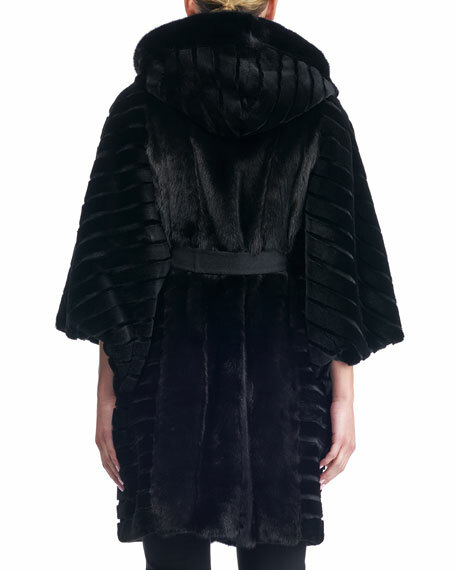 Gorski coat in sheared, dyed mink fur (Finland). Hooded neckline; hidden front closure. For in-store inquiries, use sku #2346333.